← Climate Change Complementarity: Optimization? I don’t have too many things on my bucket list but my wife and I have decided to use our winter school vacation to cross off one item from both our lists: going to see the aurora borealis (northern lights). As an added bonus, I’ll try to observe the impacts of climate change on the Arctic and report my findings to you. This blog will be posted three days before we return from the trip but I am writing it two days before we leave. 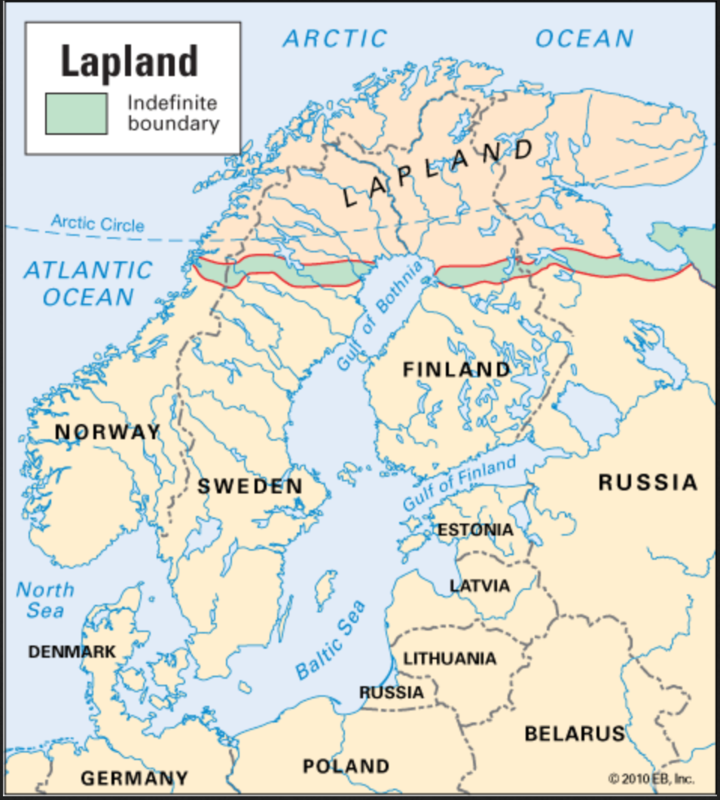 Our destination is the area of Lapland, located at the northern part of Scandinavia, where Norway, Finland, and Sweden meet. 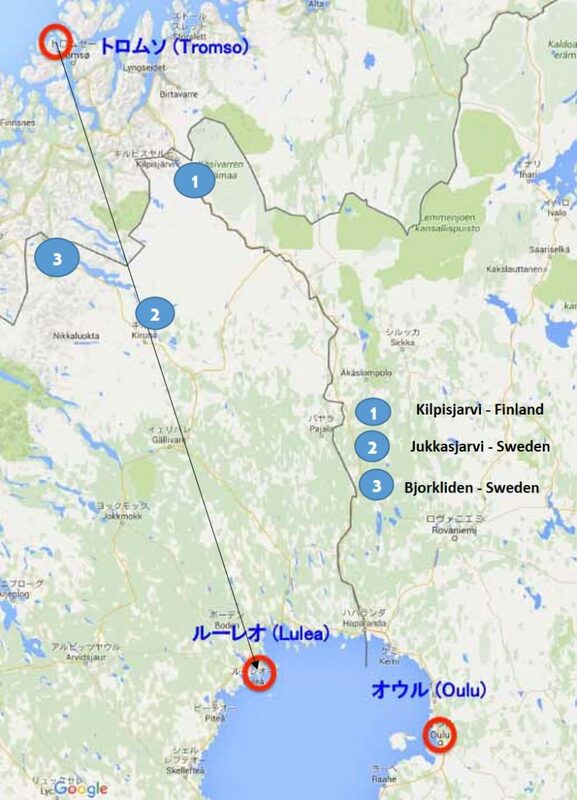 Figure 2 shows the specific locations that we will visit as we travel from Tromso, Norway to Lulea, Sweden. I used someone else’s map since we’re going to the same places – I didn’t bother to erase the original Japanese markings. 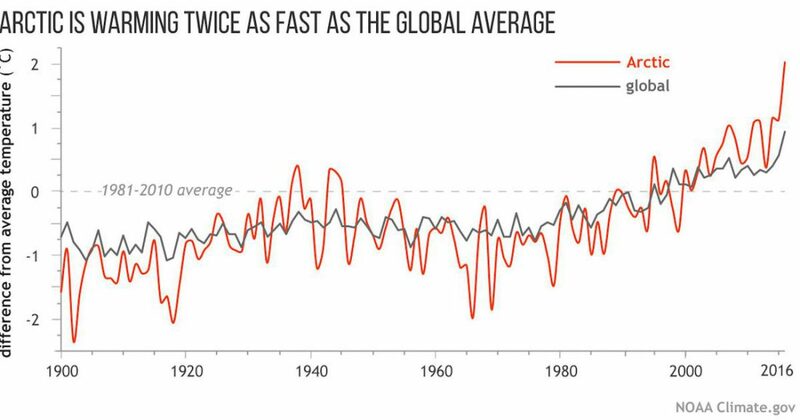 Figure 3 shows NOAA’s readings of the rising temperatures in the Arctic, as compared to the global average. – Surface air temperatures in the Arctic continued to warm at twice the rate relative to the rest of the globe. Arctic air temperatures for the past five years (2014-18) have exceeded all previous records since 1900. – Atmospheric warming continued to drive broad, long-term trends in declining terrestrial snow cover on land, melting of the Greenland Ice Sheet and lake ice, increasing summertime Arctic river discharge, and the expansion and greening of Arctic tundra vegetation. – Despite increase of vegetation available for grazing, herd populations of caribou and wild reindeer across the Arctic tundra have declined by nearly 50 percent over the last two decades. – In 2018, Arctic sea ice remained younger and thinner, and covered less area than in the past. The 12 lowest extents in the satellite record have occurred in the last 12 years. – Warming Arctic Ocean conditions are also coinciding with an expansion of harmful toxic algal blooms in the Arctic Ocean, threatening food sources. – Microplastic contamination is on the rise in the Arctic, posing a threat to seabirds and marine life that can ingest debris. The NOAA report only marginally mentions permafrost but a recent article by Jan Hort et. al. in Nature Communication posits that, “Degrading permafrost puts Arctic infrastructure at risk by mid-century.” The abstract of this article is given below, along with Figure 4, which maps the hazard potentials across the Arctic. Degradation of near-surface permafrost can pose a serious threat to the utilization of natural resources, and to the sustainable development of Arctic communities. Here we identify at unprecedentedly high spatial resolution infrastructure hazard areas in the Northern Hemisphere’s permafrost regions under projected climatic changes and quantify fundamental engineering structures at risk by 2050. We show that nearly four million people and 70% of current infrastructure in the permafrost domain are in areas with high potential for thaw of near-surface permafrost. 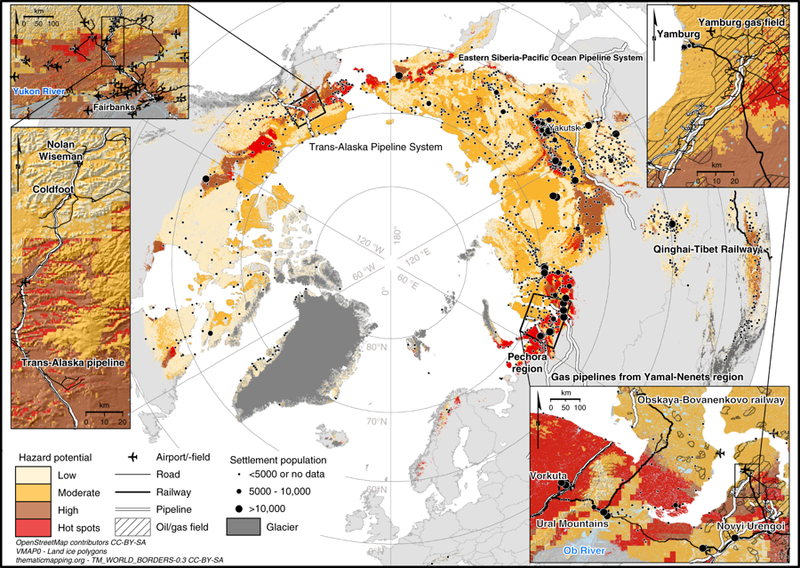 Our results demonstrate that one-third of pan-Arctic infrastructure and 45% of the hydrocarbon extraction fields in the Russian Arctic are in regions where thaw-related ground instability can cause severe damage to the built environment. Alarmingly, these figures are not reduced substantially even if the climate change targets of the Paris Agreement are reached. Scandinavia looks small on this map but one can see a red dot in the area where we will be traveling (just left of the bottom right-hand inset). One of the most important points in my trip will be to observe the impact of the melting permafrost. More on that next week. This entry was posted in Anthropocene, Anthropogenic, Climate Change, Extreme Weather, Sustainability and tagged Anthropocene, Anthropogenic, Arctic, arctic circle, arctic ice, arctic ocean, aurora borealis, Climate Change, Climate Change Denial, Climate Change Deniers, Climate Change Fork, Climate Skeptics, CO2, CO2 emissions, energy transition, Environment, Finland, Fossil Fuels, Future, Global Warming, greenhouse gas, Greenland, ice, infrastructureAlaska, Lapland, microplastic, Mitigation, NOAA, northern lights, Norway, scandinavia, Science, sea ice, Sweden, Temperature, tundra, Vacation, warming. Bookmark the permalink.